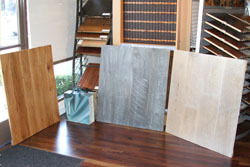 Walters Flooring is widely regarded as the best wood flooring company in Los Angeles. We work closely with architects, contractors, interior designers, and homeowners to provide a full range of custom flooring design, flooring installation and flooring restoration services. We offer a fine collection of antique, distressed and aged flooring, as well as domestic and exotic woods. Whether you choose hardwood flooring, engineered flooring or laminate wood flooring, sanding, refinishing or even a minor repair, our expert craftsmen will treat your home with respect. Contact us for a free quote on reclaimed flooring installation, flooring repair, flooring restoration or refinishing you floor.